Dos Equis is replacing “The Most Interesting Man in the World.” Which CFB coach should replace him? After 10 years, Dos Equis is replacing “The Most Interesting Man in the World,” announcing the send off by way of one final ad in which he is blasted into space. The campaign is one of the most successful in the history of advertising (a personal favorite line: “He can speak French…. in Russian. ), so Dos Equis isn’t shelving “The Most Interesting Man in the World,” instead simply passing the torch from actor Jonathan Goldsmith to someone else – an attempt to turn the Dos Equis Guy into the James Bond of the advertising world. “We have created one of the most celebrated campaigns of the 21st century — I dare say it goes beyond a campaign to a cultural icon,” Heineken USA marketing head Nuno Teles told Mashable. The question becomes: if a college football coach were to become the new Dos Equis Guy, which one would it be? Jim Harbaugh: the guy has absolutely been the Most Interesting Man in the College Football World over the past 14 months. Practically everything he does is newsworthy… and drives the SEC insane. 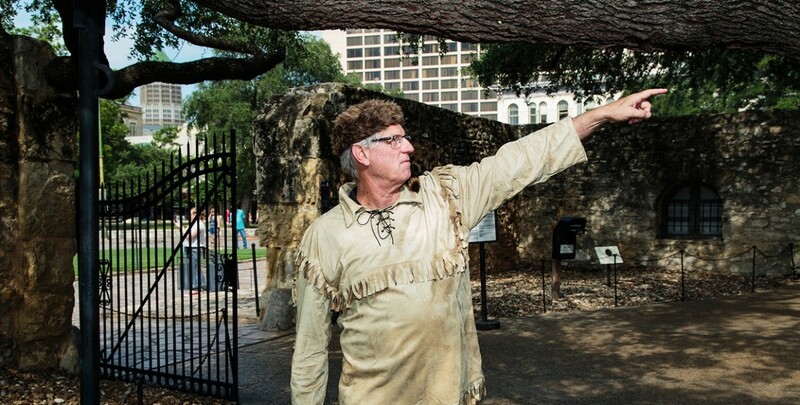 Hal Mumme: anyone willing to be photographed in a Davy Crockett get up for ESPN The Magazine has a wild side to him. Les Miles: if anything, Ol’ Lester may be too out there for this campaign. Mike Leach: I mean, is there any doubt? His biography is all the material you’d ever need: a lawyer that revolutionized a game he never even played, Leach managed to become a scholar on pirates and Geronimo while holding one of the most demanding jobs in America. Mike Leach is, without a doubt, the Most Interesting Man in the World… or at least college football.